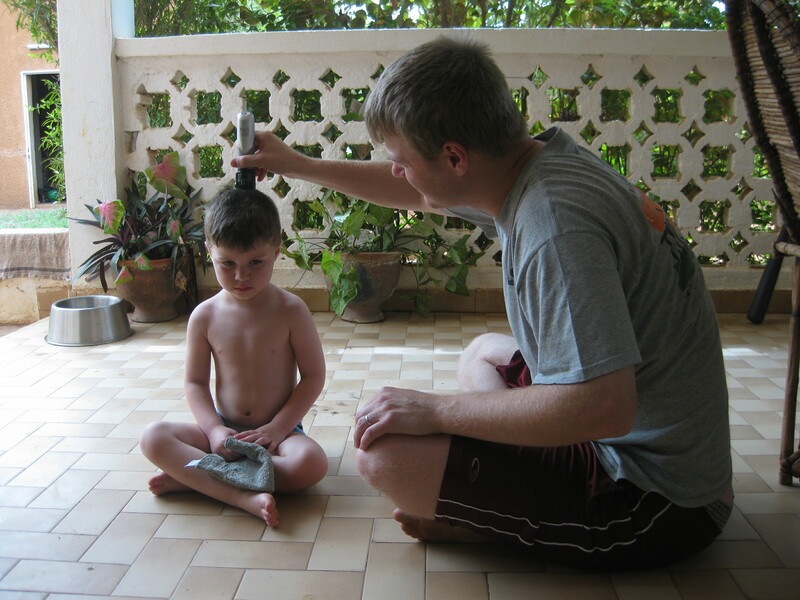 Sam requested that Dave cut his hair because he was too hot. His ability to sit patiently is a sure sign he's getting bigger. We’re getting back into the swing of things around here, and we couldn’t be more happy about it. This family loves a routine. 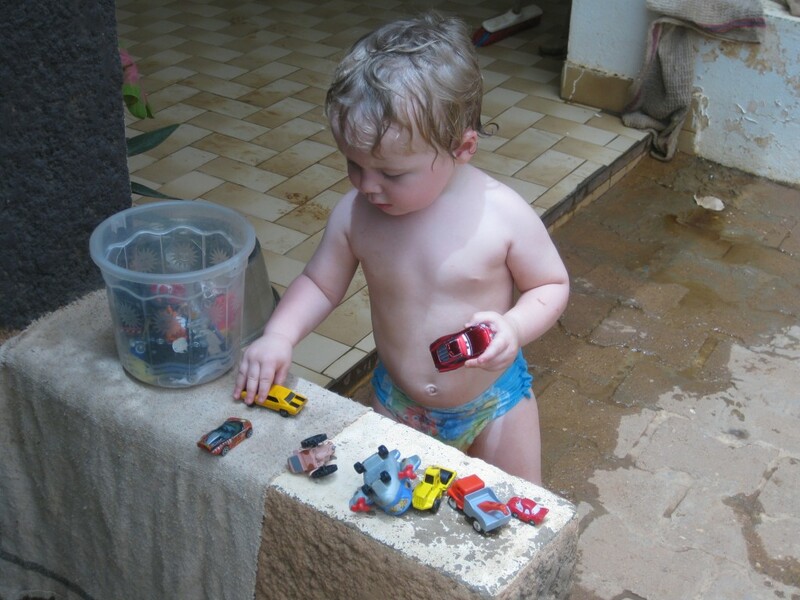 We’ve been painting, splashing, digging, swimming, and just plain loving our African life. This weekend we commenced our normal Saturday afternoon at the Rec Center. Everyone enjoyed the pool and reuniting with old friends. I was especially happy to see several of my students. Nathaniel discovers some well loved old toys. 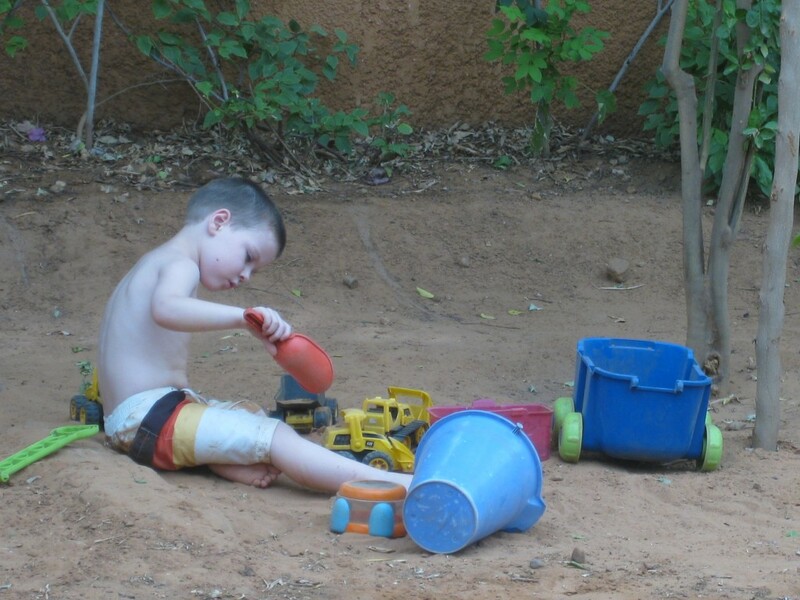 Meanwhile Samuel digs in the yard. Caleb loves Dankarami as much as the other boys do. So far as I can tell, our weekly routine will be pretty packed. Monday night is our Mission Fellowship Dinner. Tuesday an opportunity to help with art classes in the AD Bonifondou School in the afternoons. I’m hoping to continue hosting the other MAs (young, single missionaries) for dinner on Wednesday nights. Thursday morning is play group and is ladies Bible study. Sam will be going back to Ecole Alliance every morning starting next week. This week they are on holiday. Dave is hoping to start a daily routine of French studies and Bible courses through Global University. I hope to teach Elementary Music again in the fall. Of course all of this is subject to change- and we’re sure it will some what. We will keep you posted on that kind of thing as it happens. Sitting with Caleb on the porch while the boys play outside. For now, we’re settling in. Please pray for us regarding our decision to move. We’ve been looking at houses in a neighborhood with more stable electricity and trying to get in touch with our land lord who said he was going to raise our rent starting June 1. If this is true, we will need to find a house in the next week or so. This will enable us to spend a month preparing the new house and making it livable. Pray that we will find the right place or that if God wants us to stay here, he will change our land lord’s mind. We would love a bigger yard for our growing boys. We know God has the right place out there somewhere. So glad for the update. Life seems to be going so great. Missed you at Golf Tourney.. last year we had our babes all slinged up together! Haha! 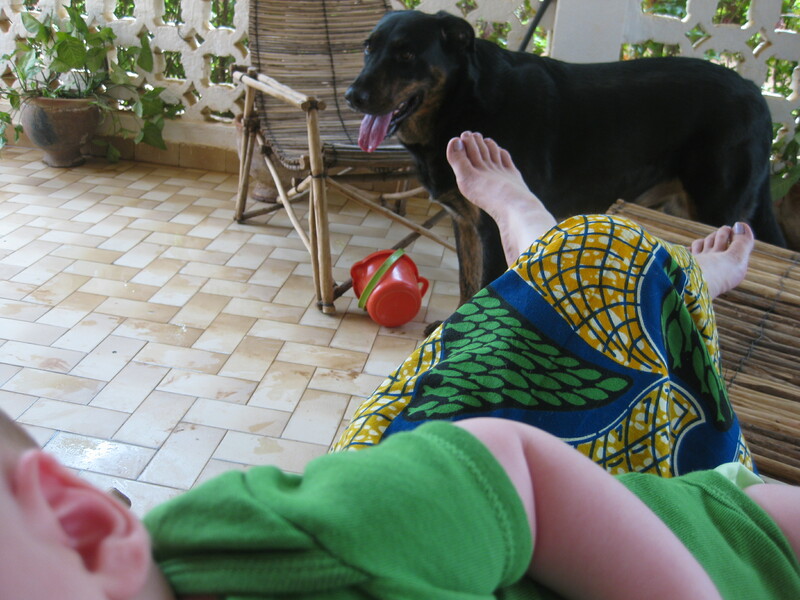 Yesterday Josiah rocked his Niger shirt and some kacki shorts. Missing living life together but glad to get a glimpse of your world. Hugs and Kisses! Welcome home! The glimpses into your life are precious, and I’m so glad to see you still have the rockin’ porch furniture that carried me through my Niger stint ;-).